Legal Name: Sandemans Cars Ltd. Limited Company. "1st time using this firm. No pressure to buy. Would use again." "Phil always explains things to you and helps you all he can, before buying a car, great aftercare service. I would recommend him to any one who wants a car." "Excellent care- very clean, looks like new, runs beautifully." V W Golf Plus se. "Used this company for car maintenance previously with satisfaction. Purchased used car with trade in and although not receiving my trade in value, I feel my purchased car so far has been value for money." "Garage man was very good, explained what was done on the car & it was very clean & he phoned to tell me when car was ready to pick up. Will use this garage again. Sandemans Cars market St Forfar." "Excellent service � use of ramp to fully inspect vehicle." "Staff were very friendly and helpful. Car was polished inside and out when collected. Was very pleased with the service." 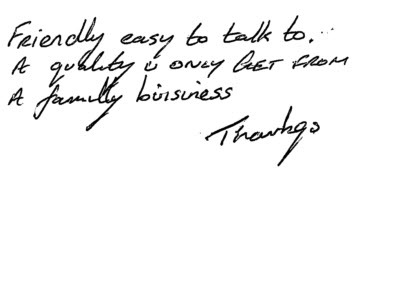 "Very good firm to deal with very friendly and helpful." "Cherished number so VSC will be posted to myself." Mileage: less than 30000, age: 5. Citroen Picasso HDI. Mileage: less than 20000, Age: less than 4 years. 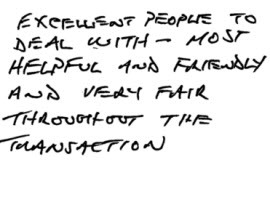 "Excellent people to deal with - most helpful and friendly and very fair throughout the transaction." Mileage: less than 10,000, age: less than 2 years. Vauxhall van. "Friendly easy to talk to. A quality i.e. only get from a family business. Thanks"
Mileage: less than 40,000. Volvo V5.